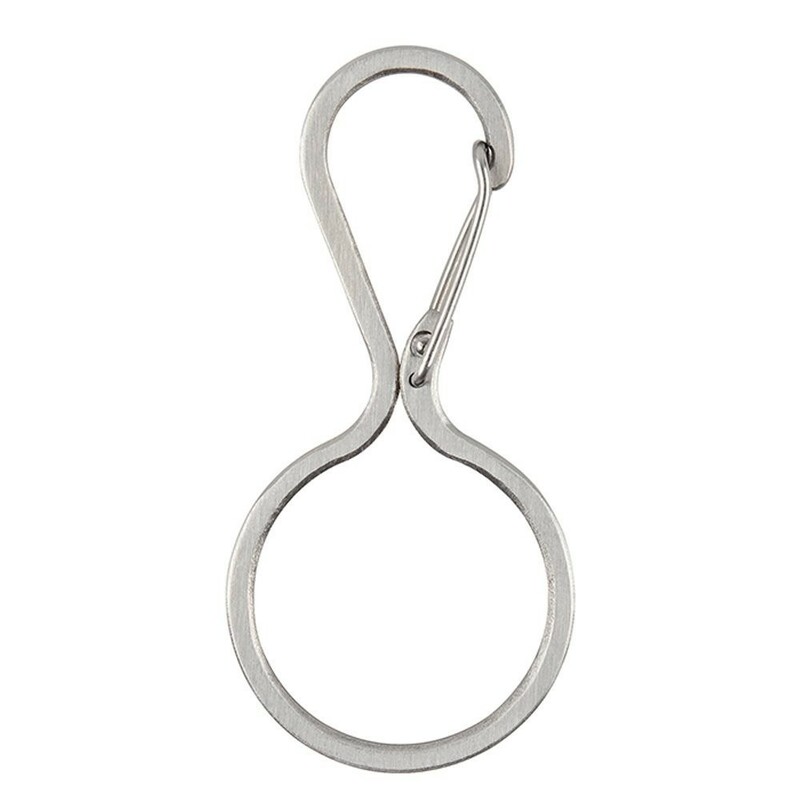 Unique, high quality, stainless steel key ring carabiner clip accessory. Refined simplicity – that’s the beauty of the Infini-Key. This innovative key ring alleviates the struggle everyone has had with traditional, frustratingly snug, split key rings. Great for keeping track of small accessories. 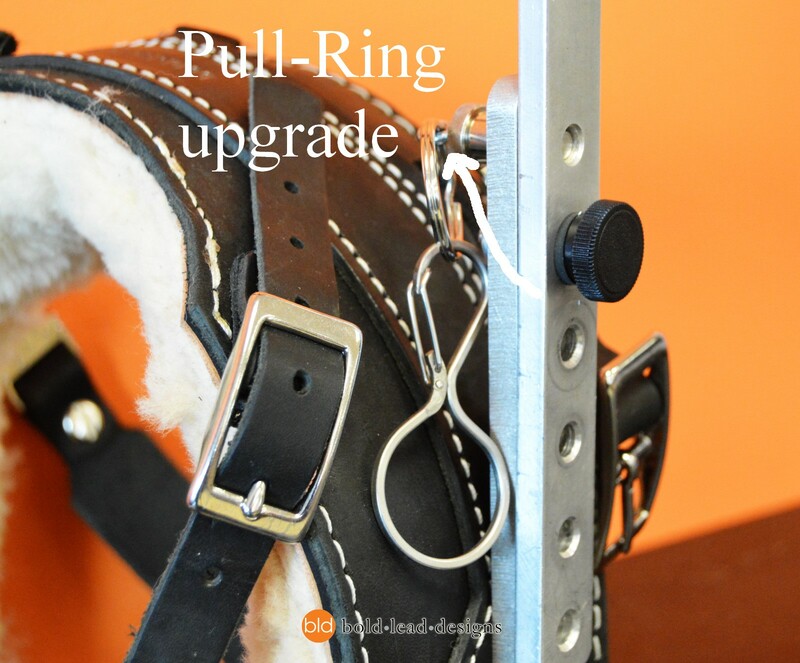 Handy for attaching items to your harness, belt loop, back pack, or whatever! Made by Nite Ize (imported). BLD Mobility Support Harness Users! Clip these onto your existing pull-rings to make it really easy to release the handle to fold with ONE HAND. 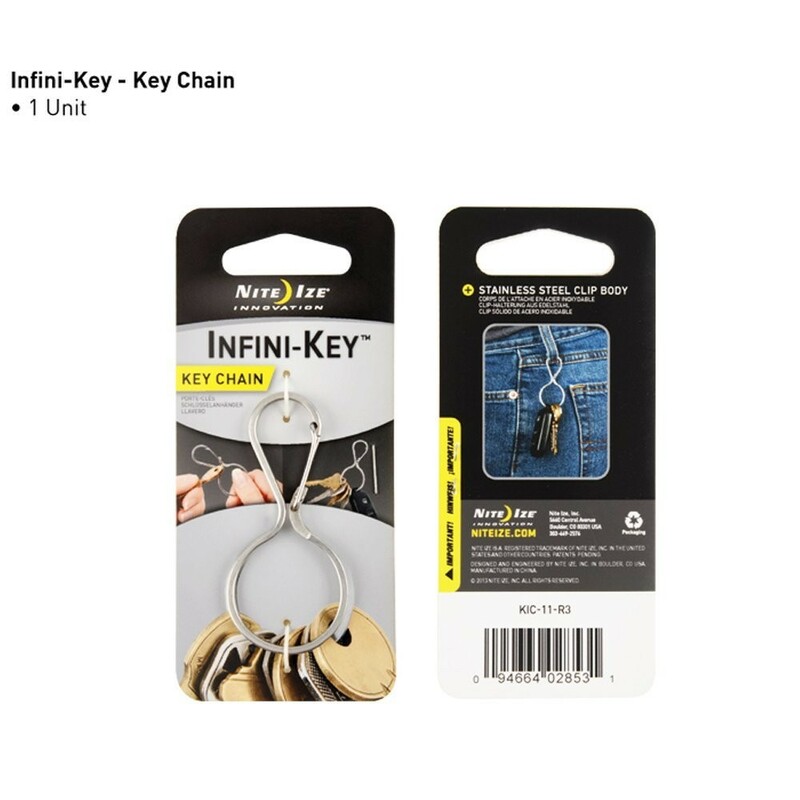 The simple design of NiteIze Infini-Key not only keeps your multiple keys handy, it allows you to isolate and remove any one of them without having to struggle with a stubborn split key ring. Just slide the key you need to the narrowed top – the neck of the Inifini-Key keeps your other keys from following – and unlock the simple carabiner clip to remove. The carabiner can also be used to attach the Infini-Key to a belt loop, backpack, or second key ring, keeping your keys secure and handy wherever you go.